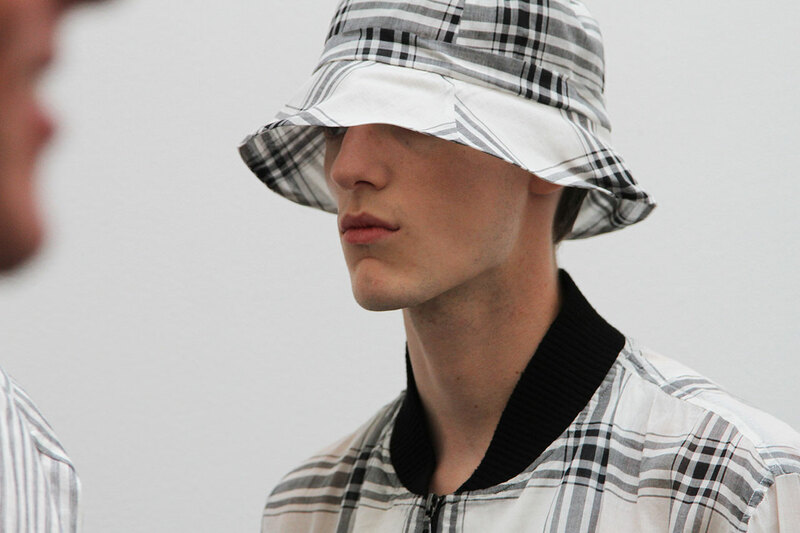 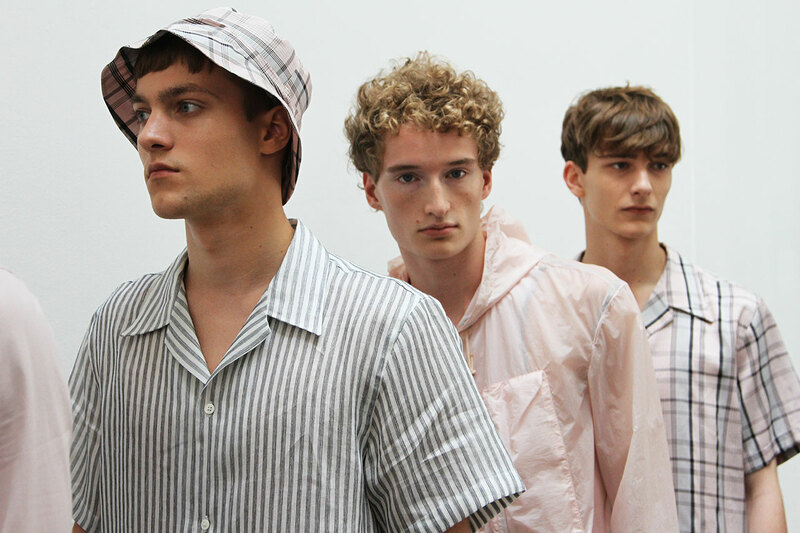 In a season when all the buzz has been about the strength of their new women’s line, now in its second outing, Duckie Brown designers Steven Cox and Daniel Silver made sure not to forget about the guys. 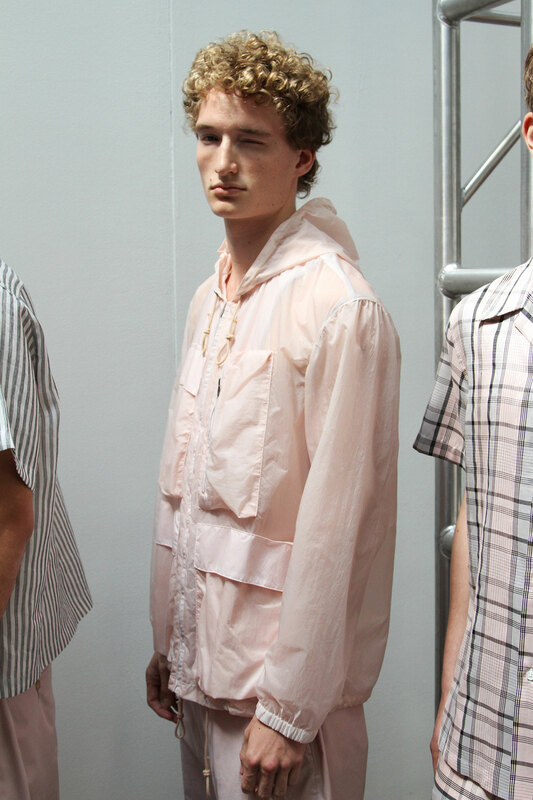 Cox and Silver have always toyed with the gender divide in their designs—they were showing skirts for men way before their latest vogue—and this season they established an interesting conversation between their pieces for both sexes. 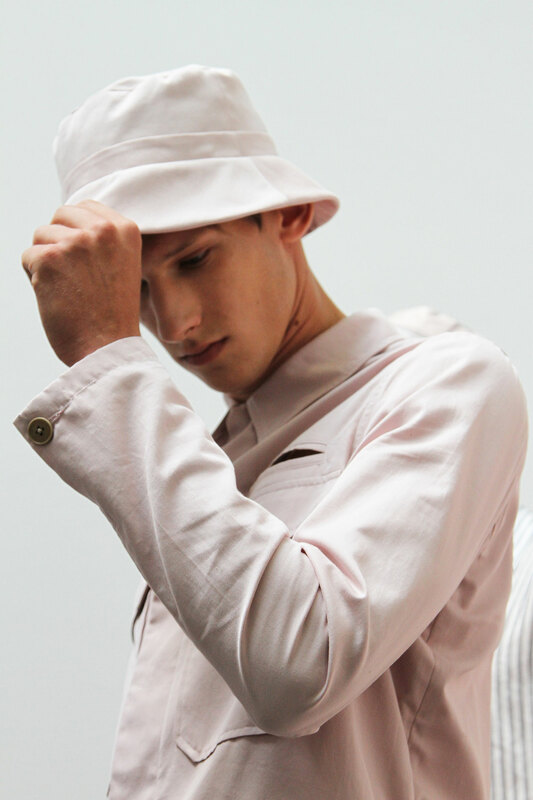 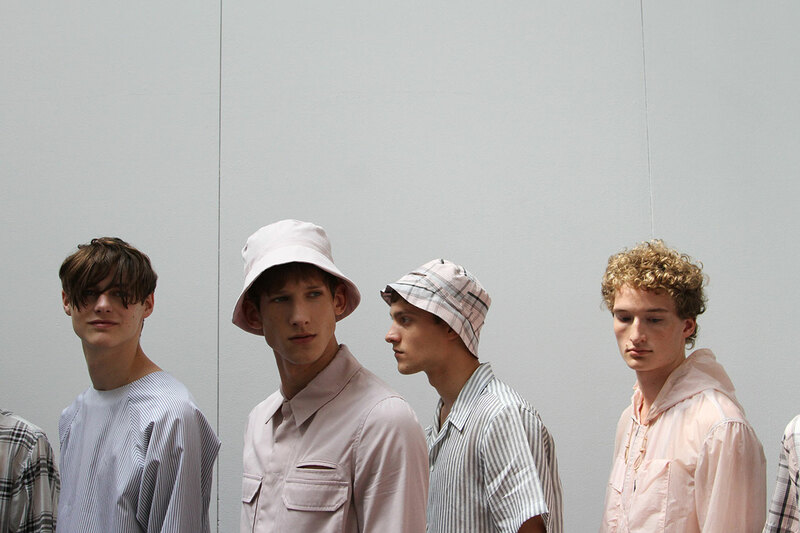 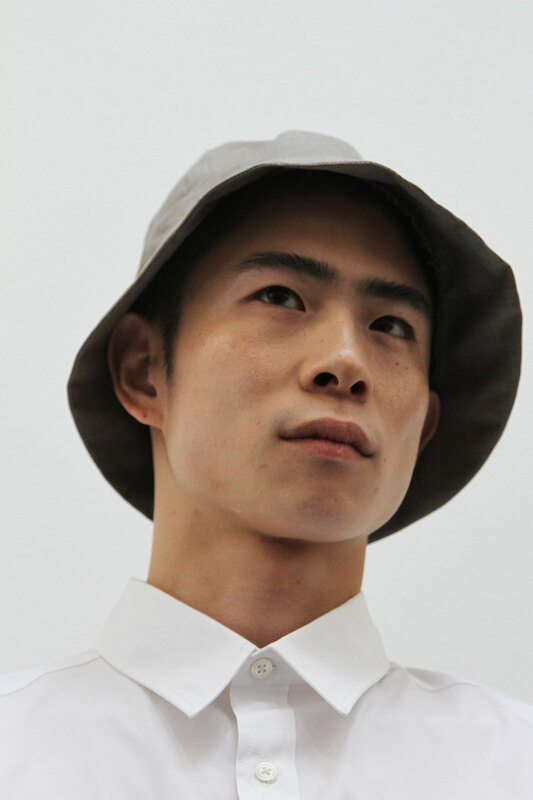 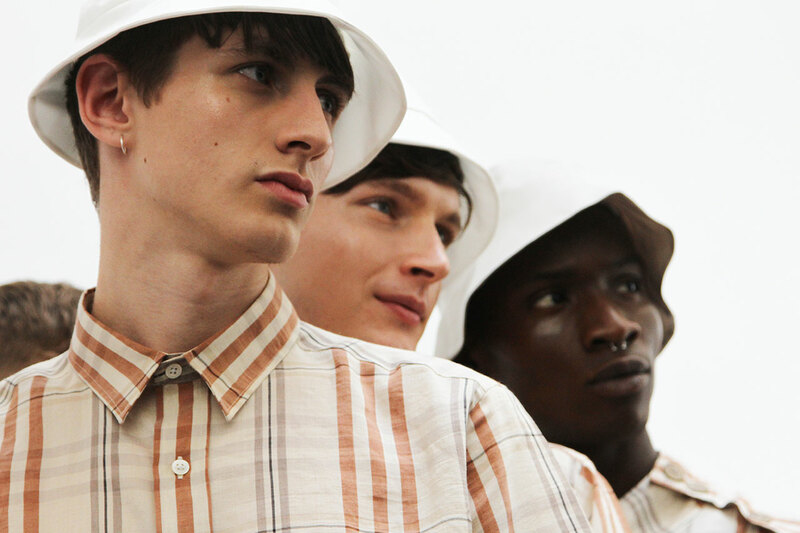 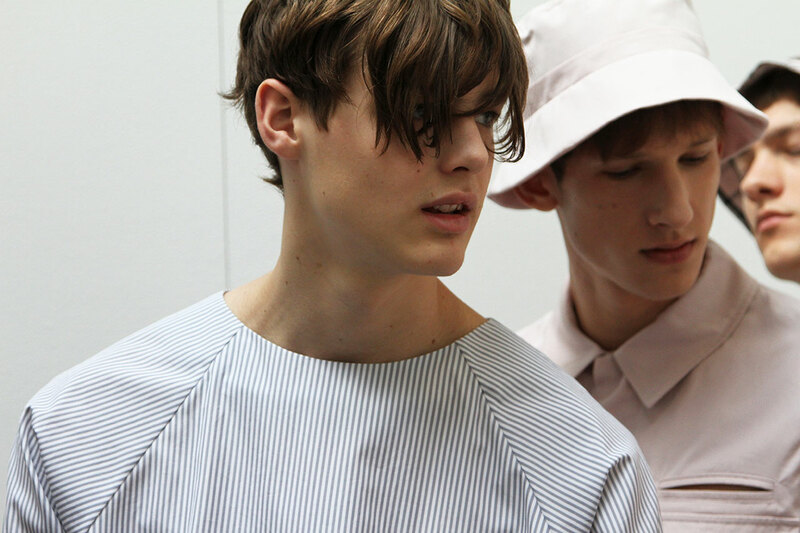 Viewed in conjunction, there were the obvious similarities—the pajama-like checks and stripes, the pale pastel palette, and, of course, the bucket hats, but this was not just a case of menswear-for-women or vice versa. 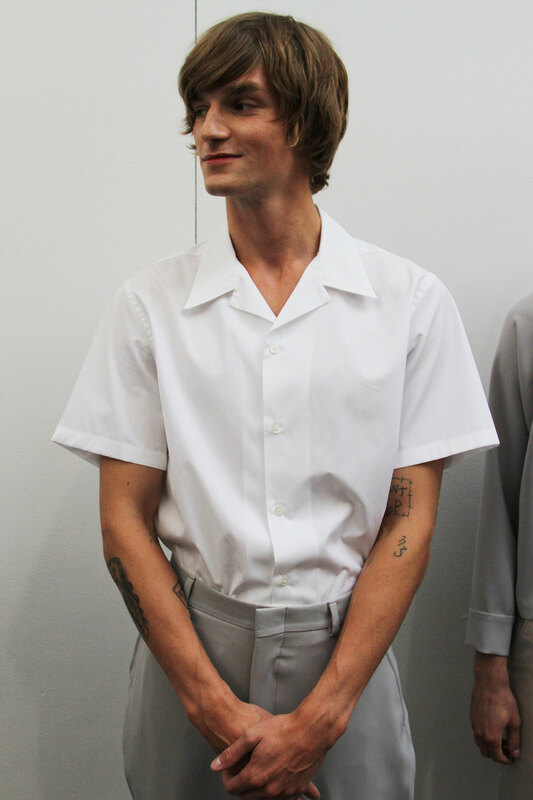 There was a cleanliness to the Spring 2015 collection with a throwback feel, pulling inspiration from Richard Ashcroft of the Verve and an easy early-Nineties style, one which itself had hints of the Fifties. 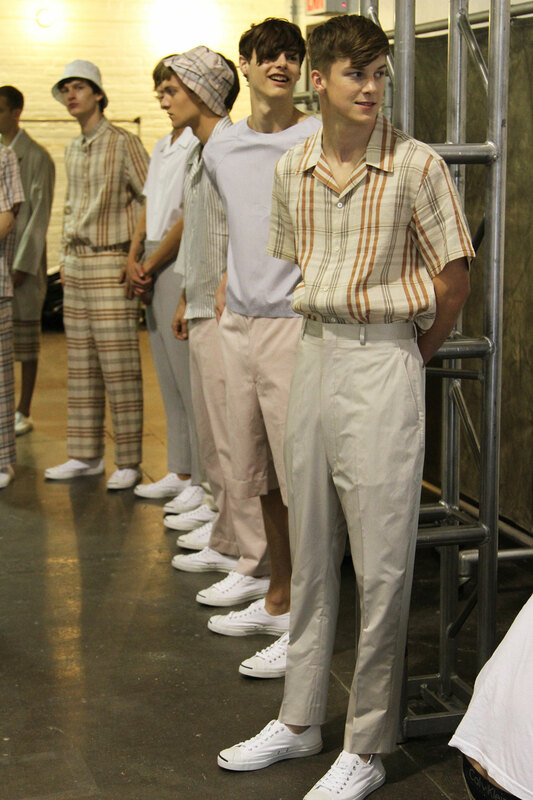 The trademark unconventional Duckie Brown proportions were in effect, as trousers ballooned out through the thigh before ending just before the ankle. 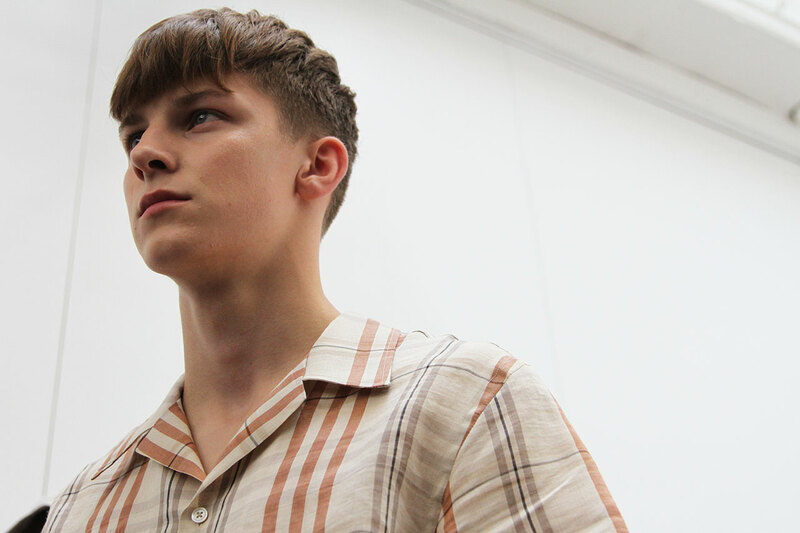 The feeling was slouchy and relaxed, casual and comfortable in an antidote to over-styling. 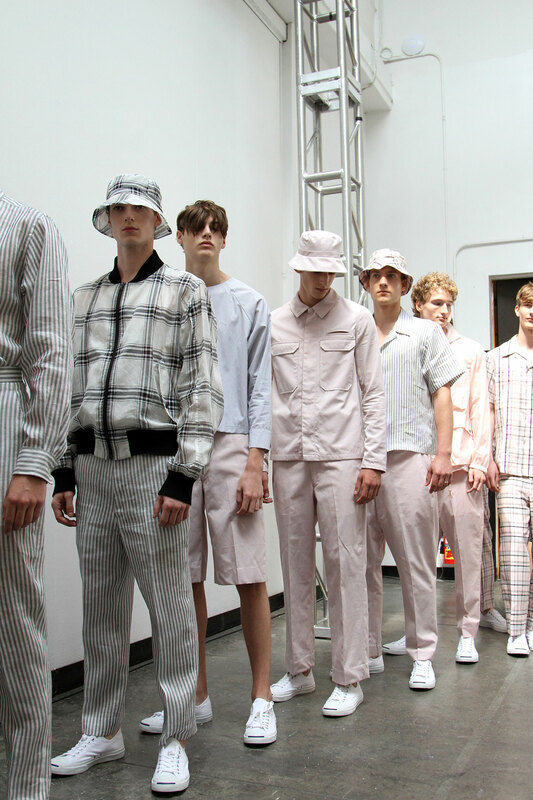 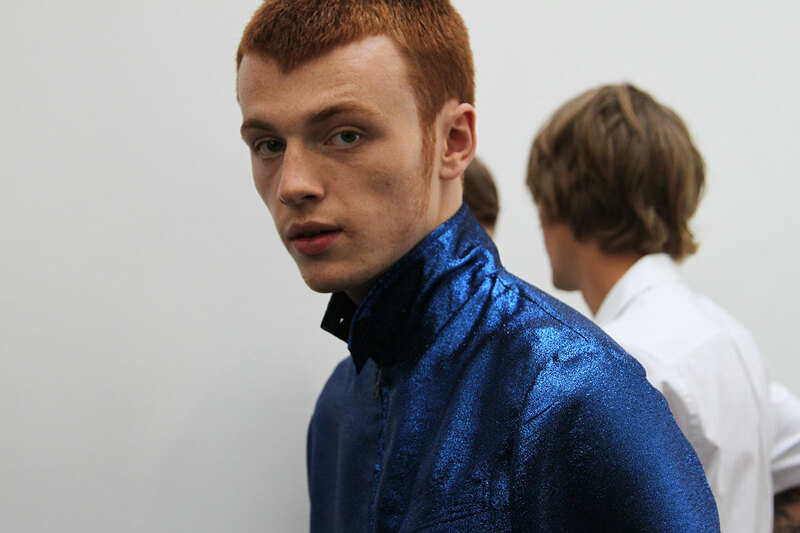 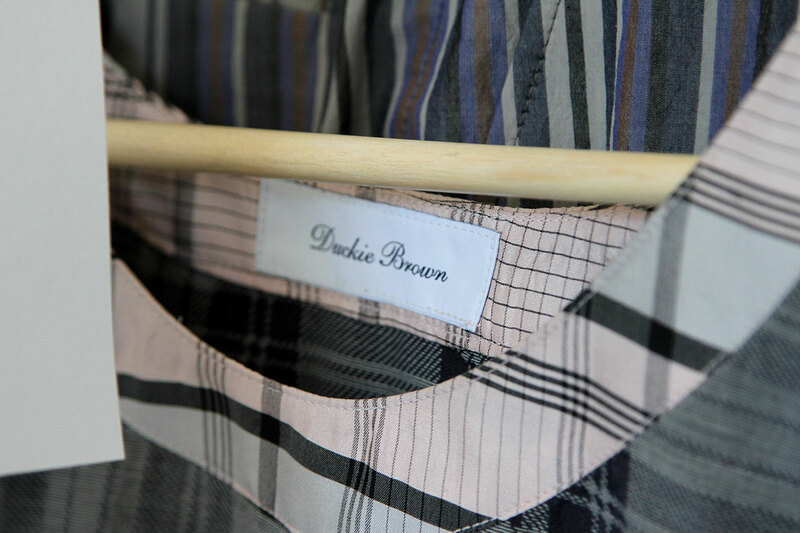 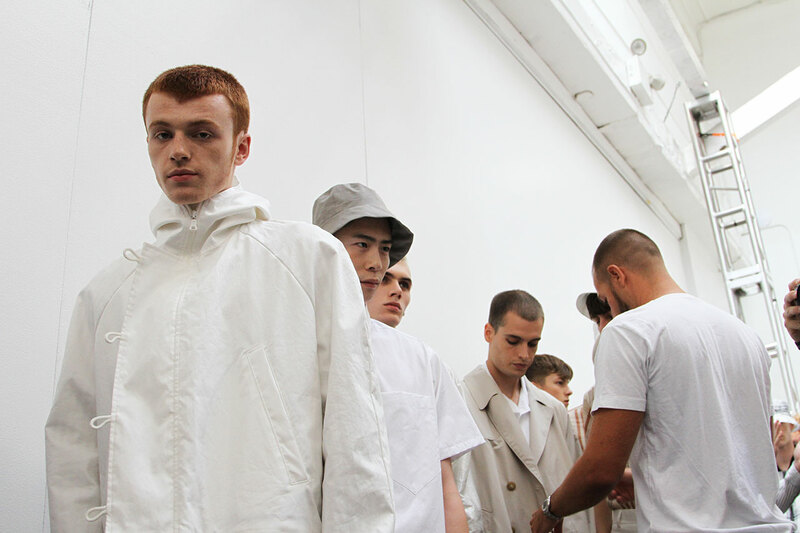 The Duckie Brown empire may be ever-expanding, but their menswear will always have a special place.